Most of our patients receive chemotherapy treatment as an outpatient. 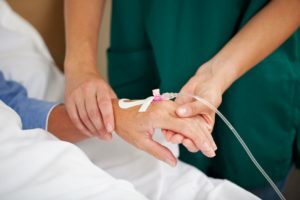 Staffed by highly trained, oncology certified nurses, we offer IV treatments along with education and support for patients receiving chemotherapy. The center is open Monday-Friday 8:00am – 4:30pm. For more information, please contact the Infusion Center at (808) 322-6910, option 2.